Rector Professor Kurbanov was graduated in Medicine at the Medical School Saint Petersburg State University – Russia. Specialist in General Surgery, Vascular Surgery and Plastic Reconstructive and Aesthetic Surgery by the University of Teheran. Multiple Postdoctorate Studies in Moscow, St. Petersburg, United States of America, Austria and Germany. Professor Kurbanov is Specialist in Reconstructive Surgery, Surgery of Burns, Trauma Surgery and Hand Surgery, Special Area Replantation Surgery. He is an invited guest surgeon in several countries. 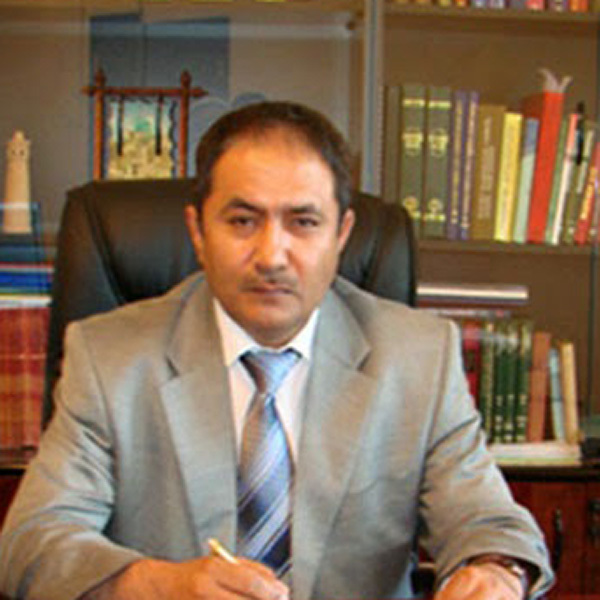 He is present Rector Magnificus of the Khatlon University, Danghara Khatlon Tajikistan University, Dushanbe – Tajikistan. Areas of surgical expertise: General surgery, vascular surgery, plastic and reconstructive microsurgery, hand surgery. Professor Kurbanov has done innumerous surgical procedures in the field of microsurgery and replantation surgery of the extremities. The replantation of a lower arm of a member of the diplomatic corps of Germany after an accident has positioned Professor Kurbanov as a welcome surgeon and scientist in Germany forever. Professor Kurbanov is an international medical authority, he has a multicultural medical and surgeon education in occidental and oriental countries and has done a lot of significant scientific publications. He is accredited as “Distinguished Great Master and Ordinarius University Professor of Medicine with “Venia legendi” to educate Physicians at levels of Graduation, Master and Doctorate Studies. He is also very high qualified to be Leader of Research Groups in all Countries affiliated to The World Academy of Medicine. Professor Kurbanov is Member of the Senate of the Congregation Faculty of The World Academy of Medicine.